One of the most interesting and fastest developing areas in healthcare is the use of light to diagnose and treat medical conditions and illnesses, collectively known as Healthcare Photonics. It includes a range of new phototherapies as well as biomedical imaging and in vitro diagnostics. The area offers huge potential for the UK and the global healthcare sector. Applications are wide ranging from wound, skin and cancer care to niche applications in neurology and ophthalmology. The North East is already home to a number of innovative SMEs working in healthcare photonics, one of which is NETPark based PolyPhotonix, which has demonstrated the potential of such novel therapies. 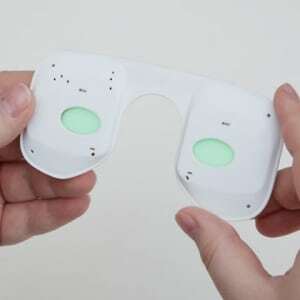 PolyPhotonix has manufactured a phototherapy based sleep mask for the treatment of Diabetic Retinopathy, an eye disease caused by diabetes. 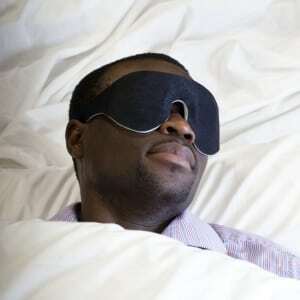 Not only does the therapy treat the disease without expensive drugs, but it also preserves the sight of sufferers. In addition, once adopted, it has the potential to save the NHS many hundreds of millions in treatment costs every year. The North East Local Economic Partnership (North East LEP) has asked the Centre for Process Innovation (CPI) to create a new National Centre for Healthcare Photonics at NETPark in County Durham. The Centre is planned to open in 2018 and will open facilities and expertise that can be accessed by companies of all sizes – from University spinouts to SMEs and major multi-nationals – helping them develop their technologies and bring them to market. Government have allocated £10m as part of the North East Growth Deal expansion to fund the new centre. An additional £8m will be sourced from industrial partners and other competitive grants, to establish the centre. CPI will establish and manage the Centre, where clinicians and medical specialists will collaborate with experts in photonics, biochemistry, and engineering to create a new generation of diagnostics and treatments. 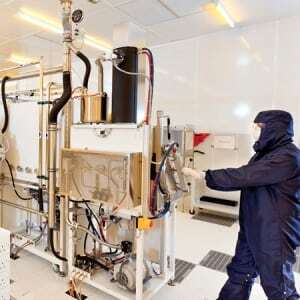 It will host prototyping and pilot scale facilities to enable the production of devices at the required quality and consistency to enter early and late-stage clinical trials. A key focus area for the Centre will be around health economics and regulatory aspects, which are critical in bringing these new products to market.